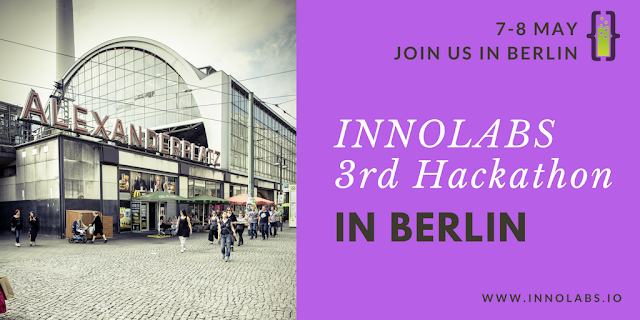 Join us for the 3rd INNOLABS Hackathon that will take place in Berlin, May, 7-8! SMEs, healthcare professionals, scientists, patients, entrepreneurs, engineers, designers, developers and others are welcomed to team up for two days and propel innovation in healthcare. Our goal is to gather experts to work on different healthcare challenges and compete in a hackathon for prizes. Best projects will be awarded with 36,000 EUR prizes. With its open format of Hacking and Breakout Sessions the Hackathon in Berlin offers you the opportunity to hack, network and get mentored. You will also have the unique possibility to take part at chosen items of the programme of the 11th Charité BIH Entrepreneurship Summit. Why should you join us in Berlin? Potentially turn an idea into reality - the idea must entail a new concept or a new method. Be a pioneer and have fun! The 3rd European INNOLABS Digital Healthcare Hackathon is organized by Berlin Partner for Business and Technology, in cooperation with the INNOLABS consortium and powered by Hacking Health.